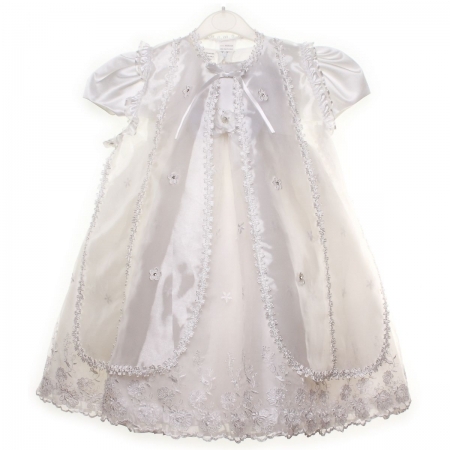 Long length christening white dress with satin voile overcoat decorated and embroidered with flower petals and sequins. 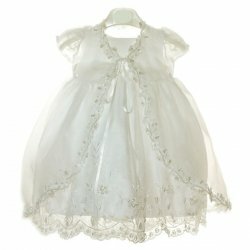 Dress is decorated with a large, detachable flower at centre waist, embroidered with even more flower petals along trim front and rear. Please click View Large Image and zoom in for a closer look.